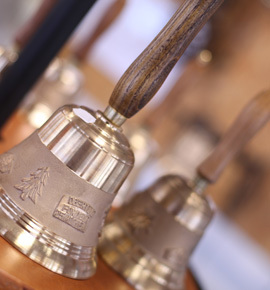 These small bells fitted with a wooden beech handle (from the area) have long been fashionable in big houses, used by householders to call their servants. 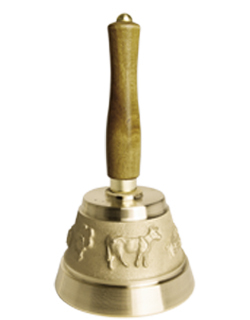 If this use is obsolete, these bells are nonetheless still in favor. They are now used to call children or by bedridden people to seek help. 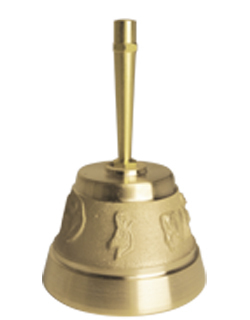 But they are often sold as souvenir bells or for a church bell blessing. They are customizable in small and medium series.